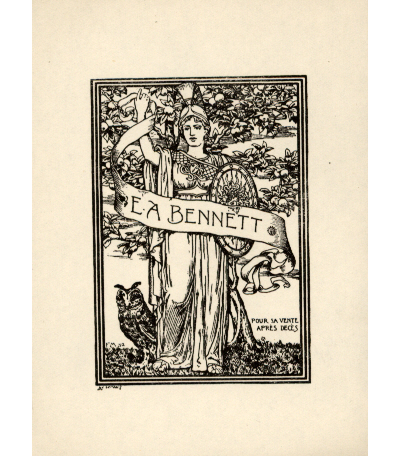 An original example of his Book Plate, unused. Overall size 4¾ x 3½ inches. Undated. Enoch Arnold Bennett (1867 – 1931), novelist.